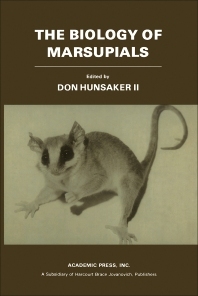 The Biology of Marsupials is a compilation and analysis of the research conducted on New World marsupials that covers both Australian and didelphid marsupials. It is organized into nine chapters that aim to bring scientific community the information available on certain aspects of marsupial biology. After presenting data on karyotypes, comparative serology, classification, and phylogenetic inferences of marsupials, this book goes on discussing the organism's chromosomes, cell cycles, and cytogenetics. A chapter covers the ecological strategies and adaptations of marsupial family, particularly, of the Didelphis virginiana. Another chapter discusses marsupial neurology; evidence of commonalities with eutherian nervous systems; distinctive features peculiar to the marsupial subclass; and neural specialization identification of particular genera and species in this subclass. The following chapter describes the plasticity, variability, and generability of the behavior patterns of marsupials. This book also describes the anatomy and histologic, embryologic, and gerontologic observations of Marmosa robinsoni. The concluding chapters discuss diseases of both American and Australasian marsupials based on zoological, wildlife, parasitological, and veterinary medical studies. Supplemental texts are also provided. This book is ideal for researchers in the fields of developmental anatomy, immunology, neurology, and many aspects of comparative medicine and behavior.